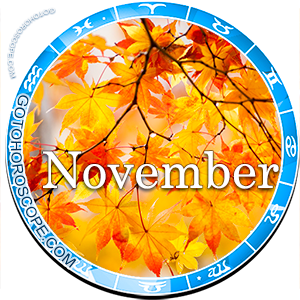 November 2014 Horoscope Virgo, free Monthly Horoscope for November 2014 and Virgo Astrology Forecast for the month ahead. 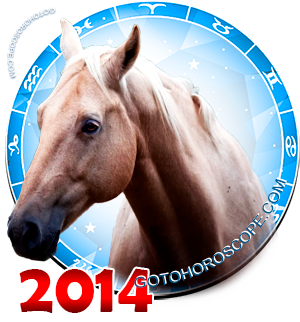 In terms of the House of Virgo, November 2014 will be a time lacking harmony. On the contrary, this month will turn out to be the most polar life stage for the representatives of the given zodiac constellation. Speaking more precisely, the work area of the Virgo's life will be radically different from the sphere of personal relationships. Such a contradicting situation will occur because the combinations of the Solar System relevant to this sign will be quite unusual in this period. On one side, Mercury, which is both a planet-ruler and a planet-exalt of the House of Virgo, will be overfilled with active positive energy, meaning that its protege can hope for the same experience. That means an income of life strength, a raise in productivity, and an increased speed of mental reactions. In other words, you will have everything that is needed for precise and efficient work. At the same time, one of the general negative combinations will significantly reinforce Neptune, responsible for the "expulsion" of Virgo, because of which the influence of this planet will be quite large. Venus, responsible for the "fall" of this House, will not have such a strength as Neptune, but will open a path for her dark ally straight into very heart of the Virgo. In the most direct sense of that word. 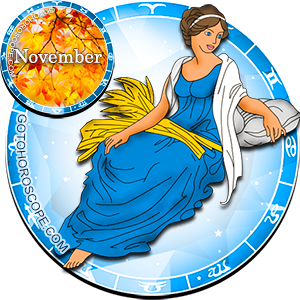 Speaking about the sphere of business, we should just reiterate that November 2014 will bring a lot of success for the Virgo. The main thing is not to be shy of applying your knowledge to practice. It is likely that you have discovered many new things up to this moment, but the orthodox conservative views of those around you prevent you from using the full potential of this knowledge. However, now comes a better time when you can try something new. This month you will stay on top of the wave even in the case of failure, as circumstances will quickly overshadow all of the negative consequences of your venture. You will not sit idly either. That is why serious problems will not come your way. However, if you will succeed then unbelievable horizons will open up in front of you! If you work for yourself, then you are free to choose the scale and the direction of work, thus you will extract the most benefit out of the situation. If you work for someone else, then most likely you will not do your work 100%. Think about that. Maybe something in this sphere of your life needs changing? Just do not doubt yourself. You should consider all pros and cons and then make the decision. Either way, everything will be just great in November. It is true; however, that such a statement only concerns the direction of work. The sphere of personal relationships will manifest itself in quite a different manner. It is likely that you will have to face problems throughout the entire month that will be so complicated and tangled that they will be practically unsolvable. If you are unable to mitigate a conflict immediately, then do not spend any more effort on it. Of course, you should not let the situation develop itself, but seriously think about the rational use of your emotional resources. In other words, do not worry. Especially since you will meet the most serious problem towards the middle of the second ten-day period. It is currently very difficult to say what that will be about. However, the situation will definitely concern your lover. We are not talking about cheating per se. Maybe not everything will be as bad, but something will radically change in your relationship. How radically - depends on your choice. Just remember that each act committed by a person has its motivations. This is why it is more important to understand the reason behind an action, not the action itself. Only such knowledge has meaning. i am virgo of 16 sep, fortunately my love life is better than a few previous months but financial life is worst than previous months. my relationships are horrible this month. I am angry every day. Unfortunately, your prediction is true. U always are writing negative is bad actually worst stop ur site if u want to just say bad. U people are fools u should know that some people come for motivation from horoscopes . LOVE LIFE ALREADY MESSED UP. Regading my love life, im that it will last and going stronger despite of manny challenges, and regarding for my aplication for a new job ( cabin crew) hope that i got it.